Dylan Muldoon and his No. 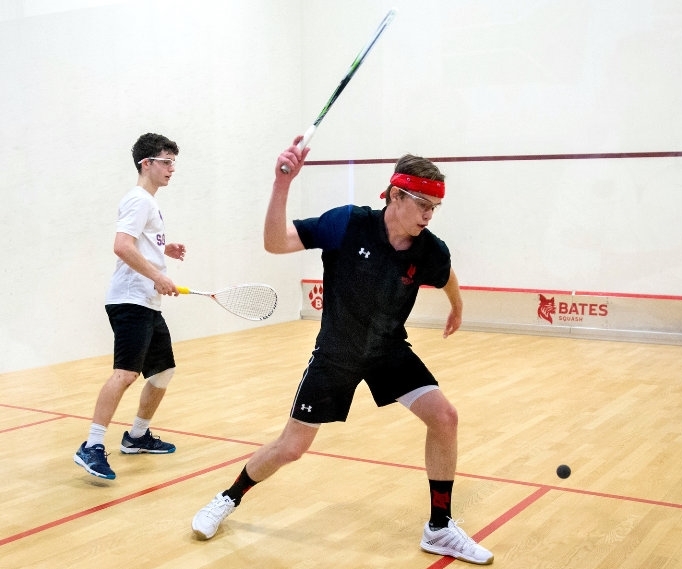 20 nationally ranked Bates Men's Squash teammates finished its opening road trip with a 1-1 record after falling 9-0 at No. 17 Franklin & Marshall. Franklin & Marshall swept eight of the nine matches, with junior Graham Bonnell turning in the strongest performance for Bates. He won his first game at the No. 1 position by a count of 11-3 before falling 12-10 in the second game. Muldoon playing in the number nine position went down to King Bassett 11-4, 11-6, 11-8.